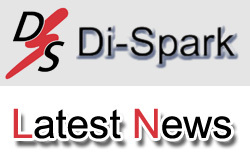 Di-Spark Ltd are a precision machining company, operating around-the-clock, manufacturing world-class components. The Di-Spark Factory tour offers a snapshot of our 24/7 automated, integrated machining facility, certified to aerospace AS9100 D and serving world-wide customers. Around the clock aerospace, AS9100 D machining. 24/7 machining of aerospace parts, components and sub-assemblies – machined to quality management system AS9100 Revision D.
24/7 Complex Machining for Energy Generation: Severe service check valve machining, complex components for power generation, oil & gas industry components & mechanical sub-assemblies, managed by AS9100.D QMS. Di-Spark manufacture components from hard & hardened materials, using integrated, multi-process machining technologies such as automated 5 axis milling, large machining, multi-task automated turning, spark EDM with robotic tool-change capability, and clean-cut wire EDM. Di-Spark Ltd operate aviation & aero-engine machining, certified to AS9100 Revision D.
Operating multi-process machining cells for Automated wire cut EDM, multi-operation die sink EDM with robot arm tool-change, automated mill-turn and multi axis mill-turn, Di-Spark manufacture the highest quality precision components within lean manufacturing principles. Di-Spark are signatories to the SC21 supply chain improvement programme, operate around the clock machining and maintain AS9100 revision D. certification for the manufacture of satellite and space components. 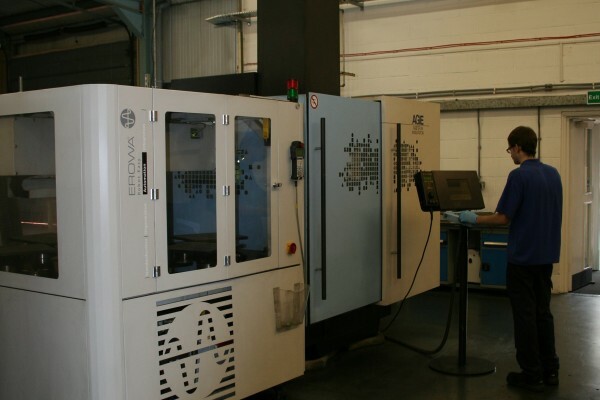 Operating around the clock, with rapid-response AS9100 capability and vast experience in supply chain management – via SC21 Membership, Di-Spark manufacture world-class components and sub-assemblies for the defence sector. 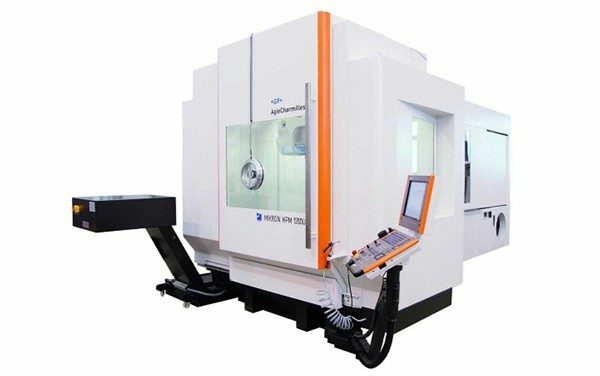 Di-Spark operate AS9100 D, Aerospace 5 axis machining. Our 5 axis machining cell is managed & optimised to manufacture zero defect parts & components for aerospace and highly regulated markets. 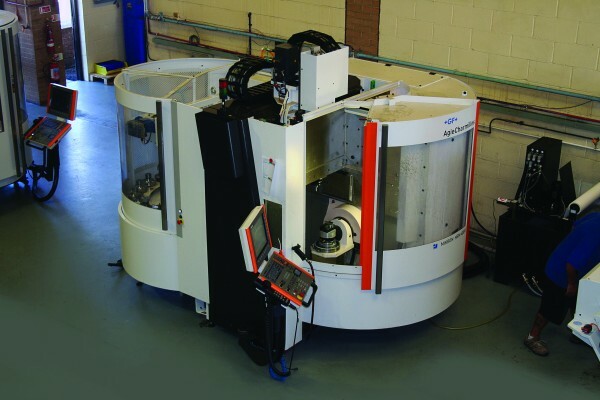 The 5 Axis components we manufacture are often destined for mission-critical operation. Spark Erosion – also known as spark EDM or die sink, uses a machined electrode to ‘die sink’ its form into the component, hence the term – die dink. 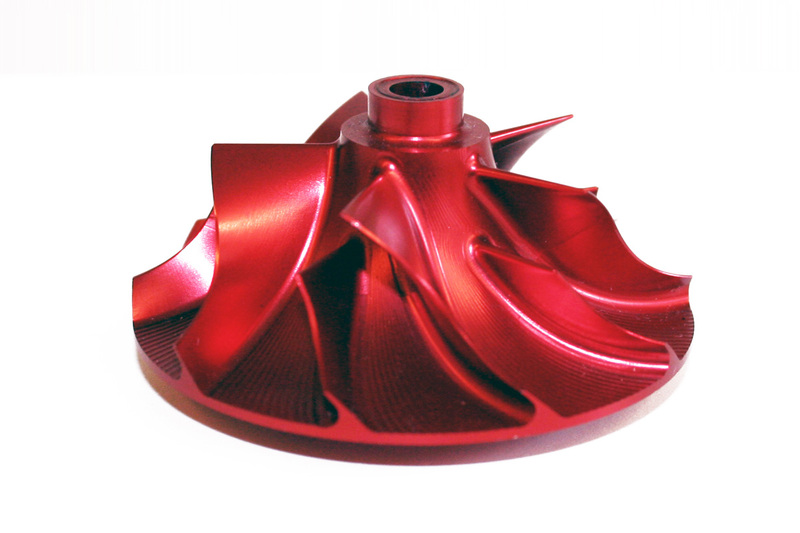 Geometries that are impossible to produce by conventional machining can be machined by Spark Erosion EDM. Spark EDM can also machine hard materials. Wire Erosion, or wire EDM, uses a wire electrode as the ‘cutting tool’. Wire Erosion, or wire EDM is ideal for manufacturing components from hard or difficult-to-machine materials, typically manufacturing components for the Energy Sector, Severe Service Valves, Satellite, Formula 1, Oil & Gas & Aerospace. Di-Spark’s large machining cell utilises the latest large-component manufacturing technology. 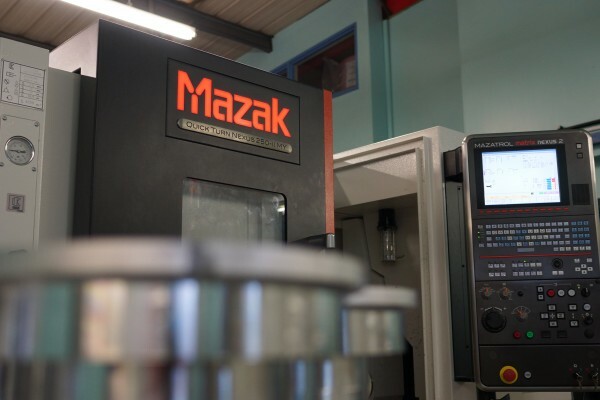 Working alongside partners at +GF+ AgieCharmilles, we use Mikron HPM 1350U high performance milling centres for processes ranging from heavy rough machining to precise finish machining. 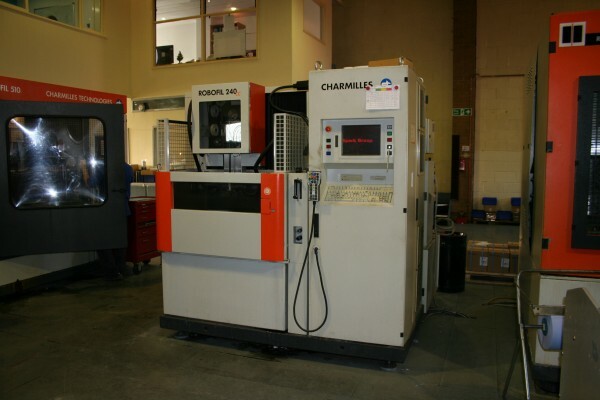 Di-Spark operate a 24/7 rapid response machining capability. Our rapid response aerospace machining service offers the latest precision machining technologies, certified to AS9100D, with a dedicated account manager and CAD Design expertise to achieve lean, efficient machining. Di-Spark Ltd are certified to AS9100D for the manufacture of complex parts, components and sub-assemblies for Defence, Space and Security Sectors. Di-Spark are also signatories to the SC21 Supply Chain Improvement programme – removing red tape and practising lean manufacturing principles.